(Bloomberg) -- Philippine President Rodrigo Duterte is maintaining a friendly tone toward China, even after defense officials raised concerns over an increased Chinese presence around a disputed island in the South China Sea. 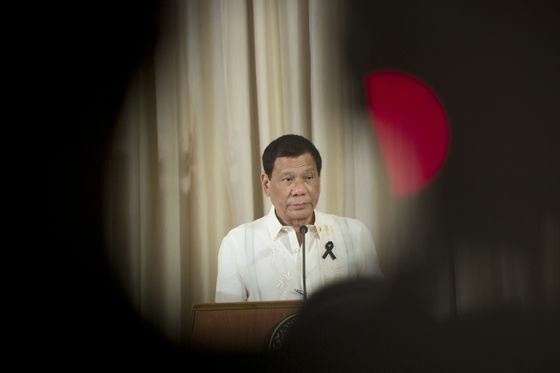 China isn’t after Philippine territory and hasn’t asked for anything in exchange for the weapons and aid it’s given the Philippines, Duterte said in a campaign speech in Manila late Tuesday. “You know, Red China or Communist China just wants to be friends with us,” Duterte said. He added that he wouldn’t confront China over the two countries’ competing territorial claims in the South China Sea because it would result in war. More than 200 Chinese ships have been spotted near the Philippine-occupied Thitu Island in the South China Sea since the start of the year, triggering a diplomatic protest from the Philippines. 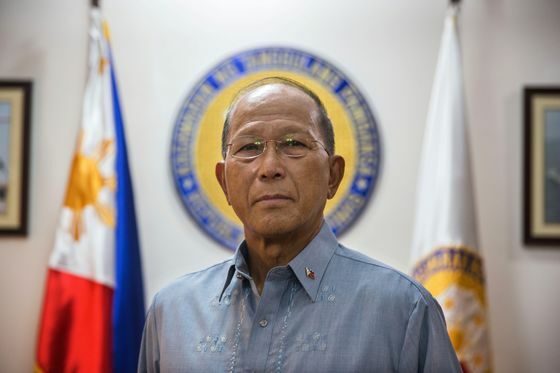 Defense Secretary Delfin Lorenzana earlier this week voiced alarm over China’s actions in the sea, describing Beijing’s island-building activity in waters claimed by Manila as “very concerning” after meeting with acting U.S. counterpart Patrick Shanahan at the Pentagon, the Philippine Daily Inquirer reported. Diplomats from the Philippines and China held their regular biannual meeting in Manila, where they raised recent issues on the South China Sea, according to a joint statement issued Wednesday. Both nations reaffirmed the importance of maintaining and promoting regional peace and stability as well as freedom of navigation in and over-flight above the South China Sea. They also committed to address disputes and discuss oil and gas development, the statement read.